Marc D. Alberts | Alberts Curran & Eiler P.C. 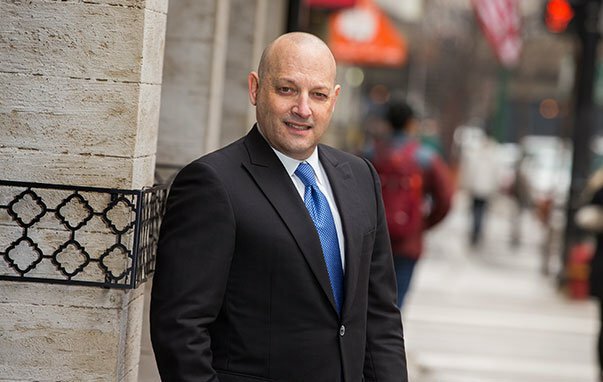 Attorney Marc Alberts is a trial attorney and litigator in Chicago and its surrounding suburbs and has been exclusively involved in personal injury litigation for more than 24 years. He began his career as an insurance company lawyer, where he spent several years learning how insurance companies handle and evaluate personal injury claims and lawsuits. This unique perspective gives Alberts the ability to aggressively represent clients who have suffered personal injuries. Alberts stopped being an insurance company lawyer in 1992 and has represented victims of injury exclusively since that time. He has successfully helped thousands of injured people and their families. His knowledge of the insurance industry allows him to assist clients at all phases of their case from claims handling through litigation, all the way to jury trial. He has gone to trial on injury cases numerous times in his career and has achieved a wonderful success rate at trial. Alberts knows that insurance companies consider whether an injury lawyer will go the distance to a jury trial. His trial record and aggressive litigation strategies help his clients obtain the money that they deserve for their cases. Alberts works hard to achieve successful results, no matter the size of the case. He has personally obtained tens of millions of dollars in compensation for his clients. Mr. Alberts’ experience of over twenty-four years involves all aspects of personal injury matters. He has been asked by a nationwide insurance carrier to give a presentation as a plaintiff’s litigator specializing in personal injury cases. His unique and vast experience will help all of the clients of the law firm of Alberts Curran & Eiler P.C.